Our plague continues. Just when I thought it couldn’t get any hotter and drier, it did. My front garden thermometer recorded its hottest temperature ever last month. We don’t even have numbers and lines for our Texas temperatures any more. They will have to make us special new Texas tough thermometers. Of course all my thermometers end up being on black fence posts facing the west sun, but at least they give me a reference point. Of course official thermometers are supposed to be in the shade. But my Uncle Noel points out that he doesn’t build fence in the shade. 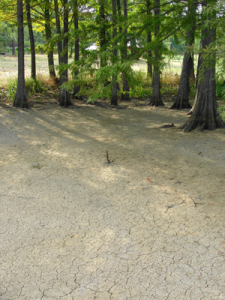 My last mini cypress swamp dried up, so the birds will have to go elsewhere for their water. It was quite the popular spot. At least I still have well water, though some near Shreveport have gone dry and one of the two lakes the City of Center uses has gone dry. Lucky for me I have a 500 gallon cistern that collects run-off water from my tin roof. It doesn’t take very much rain to fill it up and thankfully it’s full. All my ancestors here had cisterns and collected their own water. I think it should be mandatory for the entire state. Dr. Welch has a cistern at his home in College Station as does George Bush at his ranch in Crawford. The careless days of wasting water in Texas are over. This is my second cistern. I got it from Texas Metal Cisterns in San Marcos. I’ll mostly use it to water my yet to be installed backyard kitchen garden where I plan to grow my precious asparagus, raspberries, blueberries, strawberries, tomatoes, and butter beans. It’s been one of those summers where you literally have to sit down and decide what you want to save and what you have to cut loose and turn out on its own. For starters, I only irrigate my tiny front lawn of El Toro zoysia grass. Of course the rest of my “drive through” yard has mostly turned brown. I brought back a single plug of the zoysia when I was working at the Louisiana State University turfgrass laboratory in Baton Rouge. It takes me five minutes to mow it. My baby girl, Rosie, considers it her personal rug. I’ve mostly hooked up drip irrigation to things I want to save, like my oak leaf hydrangeas, roses, muscadines, and lilacs. Other special children like my newly planted long leaf pines get regular visits with a gallon jug of water hauled around in the back of my pickup truck. I’ve always found it best not to get too emotionally involved with favorite plants, as generally the more you like them, the faster they die or get killed in an accident. My family was never into plants of any kind, much less rare ones, and actually seem to enjoy killing them, just to hear me tell them how special and rare it was. One time when I ranted “That was the only one of those on the planet”, one of them replied, “That’s what you say about ALL of them.” Folks that aren’t involved in new plant development never understand that truly new plants start out as a single seed, bud, cutting, and eventual plant. When it dies, that chapter comes to an abrupt end. I can’t begin to tell you how many of my horticultural projects have ended in accidental death. 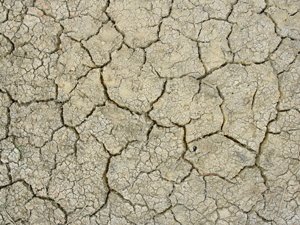 Of course cisterns and drip irrigation aren’t the only answers to drought. Organic mulches, like hay, grass clippings, pine bark, compost, or straw, should be mandatory during all Texas summers. Mulching keeps the ground cooler, the weeds out, and of course hold moisture in the soil longer. And don’t complain when it disappears, as it’s actually improving your soil structure when it does. In an odd scientific way, I actually enjoy punishing summers like this one. They really hammer home what plants we should be growing. This has always been the basis of my plant development projects. As you know, it takes special genetics to be able to put up with our extreme weather conditions. The true key lies in where the plant originated. 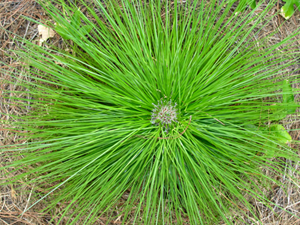 Genetically, there are many plants adapted to hot dry summers. Of course in our case, they generally have to be adapted to periodic flooding and humidity as well. This rules out many true desert plants. But look around and see what’s still alive this summer and think about where they came from. Figs, oleanders, pomegranates, and altheas are from the Middle East. As hot as we’ve been, we aren’t as hot as Iraq and Iran. Peas, okra, castor beans, and crinum lilies are from Africa. Once again they evolved with hotter temperatures than we have to toss at them. It doesn’t take a genius to figure out that bedding plants developed in Europe and coastal California don’t stand a chance during our summers, but tropical perennials and shrubs like firebush, esperanza, and pride of Barbados don’t mind the conditions at all. And of course our native plants have seen all our previous record highs and lows in their long existence here and generally just need proper planting locations and occasional tending to survive. Even though they weren’t quite as robust as usual I enjoyed watching the assorted swallowtail butterflies nectar on the plethora of Liatris aspera in my pocket prairie. I direct seeded all of them from seed collected along the roadside that the highway mowers happened to miss. 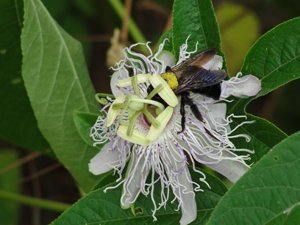 The annual nature show provided by the native may pop (Passiflora incarnata) never missed a beat either, as Gulf fritillaries flitted and reproduced in profusion with bumble bees pollinating away on the flowers. And of course, most of our truly adapted spring bulbs are from the Mediterranean and are perfectly suited to wet winters and hot dry summers. As long as it rains during the winter, stalwart Texas perennial heirloom jonquils, narcissus, daffodils, and snowflakes could care less if we ever get summer rain. That goes for oxblood lilies, spider lilies, and rain lilies as well. These are plants that summer irrigation and rainfall proves detrimental to their floral performance. They need dry conditions to set their blooms. This is in stark contrast to typical Dutch bulbs that need winter chilling to set their blooms. Bottom line: Be happy with what you have not upset with what you don’t. Nature always carries on and something always turns out better. I’m actually excited that I’ve lost a dozen or so pines in my pine savanna because it will provides new food and homes for our eight native species of woodpeckers who in turn provide homes for bluebirds, nuthatches, chickadees, and many more. Always remember what Abraham Lincoln said, “We can complain because rose bushes have thorns, or rejoice that thorn bushes have roses.” East Texas has long been known as the “biological crossroads of America” where northern plants meet tropical plants, woodlands blend into prairies, and swamps meet deserts. This year we just shifted back to the left. It’s our diversity that makes us special. During September I’ll be speaking on “Flapping about my Favorite Butterfly Plants” in Haynesville, Louisiana at their annual butterfly festival on Saturday, September 10, and doing a “Landscaping 101” seminar at the SFA Arboretum in Nacogdoches Saturday, September 24.